Quadrant was founded in 1999 by a group of boatyard owner/managers and other recreational marine professionals who began training their own employees in the early 1990’s. Their training program became recognized by the Province of British Columbia, Canada, as the Marine Repair Technician apprenticeship in 1998. The name was changed to Marine Service Technician (MST) in 2011. Quadrant Directors are active in management of the institute, teaching, and consulting in marine industry trades training and workplace competency assessment. Quadrant President and founder of Blackline Marine, a leading composites repair, rigging, custom metal fabrication and refinishing facility. Campbell’s specialty is in fabrication and repair of advanced composites structures. He teaches composites technology and business practices. Vice President, technical writer and consultant in adult education, trades training and apprenticeship. Peter is the primary writer of most Quadrant publications in consultation with industry experts. Lifetime mechanical technician and President of Gartside Marine Engines, engine installation and repair facility for pleasure boats and light commercial craft. Ben’s specialty is small marine diesel engines and inboard installations. Internationally recognized designer-builder and marine architect. Owner of Paul Gartside Ltd. Paul has developed the technical materials for the Design section of the program as well as being a major contributor to the Woodworking technical resources. MST, Service Manager and Marine Surveyor partner in Yacht Associates International. Sarah has spent more than two decades in the marine service industry exploring everything from how boats are built to the people who use and service them. She teaches business practices in Vancouver. President of Philbrook’s Boatyard one of the Pacific Northwest’s largest yacht building, repair and refit yards, with a lifetime in large project management. Drew teaches in the Business Practices area, especially project management and environmental protection. Managing Partner at Yacht Care Systems, Vancouver's leading yacht management company. His career reflects more than 35 years of experience in both the commercial and recreational marine sectors. Brian has played an active role in the administration of the Marine Service Technician apprenticeship since 2014. MST and Assistant Service Manager at Blackline Marine. Matt is expert in composites repair and refinishing projects and teaches composites technology plus a range of tools and installations topics at Quadrant. Quadrant instructors and contributors to our learning resources publications are experts with long-term careers and high level skills in the recreational marine industry. Gord Allan: MST, NMEA certified installer and partner at Bayview Yachts Sales & Service in Sidney. He has owned and repaired boats his whole life, with 20+ years in industry. Gord teaches electrical and plumbing installations. Kris Campbell: MST, MMT, is the mechanical lead hand at Philbrook’s Boatyard. Kris loves the self-sufficiency of boats, the challenges of every boat being different, & systems design. He teaches Systems Installations. Serge Gabilondo: MST, Sailboat rigging and metal fabrication specialist at Blackline Marine Inc. He has 20+ years in industry and enjoys new material applications. Serge teaches metalwork & corrosion control. Eric Jespersen: Journeyman Boatbuilder & President of Jespersen Boatbuilders. He enjoys sailboat racing, cruising & working with clients who are enjoying their boating hobby. Eric teaches Design & Lofting. Kelly Thody: Owner/Operator of Total Boat Marine Surveyors, specialists in damage assessment and overseeing construction and repairs. He has spent 35+ years in the industry and enjoys cruising, sailing, and racing. Scott Allan: MST with more than 18 years experience in the recreational marine industry both building and servicing yachts. Scott works at Blackline Marine Inc. in Sidney and teaches composite technologies and structures. Rob Carlow: MST, Boat builder for 20+ years who enjoys racing, cruising and all things wood. Rob has been a manager with Jespersen Boat Builders for 14 years and teaches tools and wood structures. 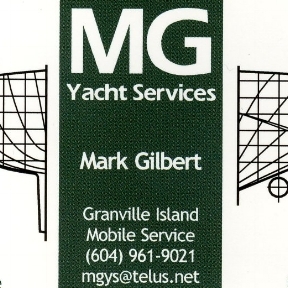 Mark Gilbert: Owner/Operator of MG Yacht Services and a partner in Yacht Associates International marine surveyors. Mark has 40+ years in the marine industry; he teaches sailboat rigging. Keenan Laing: Owner/Operator of KPL Marine in Vancouver. He has 30+ years experience in mechanical work, specializing in diesel powered yachts. Keenan teaches System Installations in Vancouver. Rob Trelford: MST, Paint and Coating Technology specialist at Blackline Marine Inc. He has 20+ years in industry and enjoys the opportunity to learn new technologies. Rob teaches refinish technology. Alex Brydon: Naval Architect & Owner of Merlion Marine for 40+ years. Alex enjoys the people, the stories, the boats and the sailing that make up the recreational marine industry on this coast. He teaches Design in Vancouver. Tyler Caddell: Professional Marine Restoration & Repair instructor at Parkland Secondary School in Sidney. Tyler is a Quadrant Graduate and teaches instructor professional development for the team. Les Gunderson: Master wood boat Shipwright for 55+ years. He is an unparalleled expert in wood construction and repair. Boats are his pleasure in life; he teaches wood structures and repair in Vancouver. Paul Magas: Composites Department Manager at Platinum Marine, He has 30+ years in the marine industry and enjoys everything related to boats. Paul teaches composite technology in Vancouver. Reed Radziszewski: Owner of Shipwright Reed Ltd. MST/Shipwright. He has 20 years experience in interior/exterior marine woodwork and wood boat repairs. 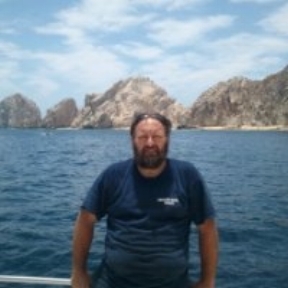 Roger Boulet: MST, ABYC and NMEA certified installer, and Owner/Operator of Pilot Marine Yacht Services specializing in marine systems installations. Roger has 30+ years in the marine industry. He teaches Safety & Trade Math. Jeff Cote: Systems Design Engineer, Owner of Pacific Yacht Systems, NMEA Advanced Installer & instructor for Western Canada. Jeff teaches Marine Electronics and sails his 36’ Catalina MkI whenever he can. Jason Gunn: MST, MMT, NMEA certified installer for 20+ years with Victoria General Marine. He enjoys fishing off the west coast and cruising the Gulf Islands. Jason teaches Electrical and Electronics in Sidney. Andrea Morrison: MST, Kayak manufacture and repair specialist at Blackline Marine Inc. Andrea has 15+ years experience in industry and enjoys keeping up with changes in technology. Trevor Smith: has been a boater his whole life with 7 years experience at Granville Island Boatyard and 3 years managing a busy boatyard. He teaches Hauling, Blocking & Securing in Vancouver. Quadrant gratefully acknowledges our past instructors contributions to our program materials and the careers of our graduates. Paul Gibson: MST at Blackline Marine with expertise in high performance composites, rigging and metal fabrication. Bert Haupt: Wood boat repair and building specialist & Professional woodworking instructor at Belmont Secondary School. Brent Jacobi: Rigging & Metal Fabrication manager / partner at Blackline Marine Inc. in Sidney. Geoff Macklin: Owner/Operator Superstition Boatworks, specializing in composites repair and refinishing.